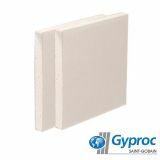 Here at Insulation Superstore we are proud to offer a wide range of fireboard, also known as fire resistant board and heat resistant board, from well-known brands such as Gyproc, Knauf, Promat and Magply. Fireboard is an increasingly common choice of wall lining amongst domestic, commercial and industrial applications. 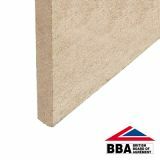 Alongside tighter building regulations and an increased focus on fire safety, fireboard has been developed to create a solid barrier that prevents the spread of fire for up to 240 minutes, depending on the choice of fire resistant board. 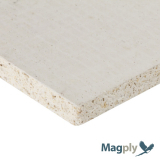 Made from a special combination of non-combustible products, including a gypsum core and glass fibres, the glass fibres hold the board together, acting as reinforcement materials to prevent the fireboard from falling apart as quickly in case of a fire. Fireboard is also moisture resistant, which means that unlike traditional drywall, it will not warp or become damaged when exposed to moisture. 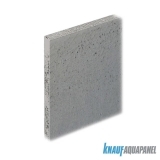 This means that fireboard can also be used in damp environments such as bathrooms and shower rooms. If you want to know more about our selection of fireboard, or have any questions before placing your order, give our team a call on 01752 692206 or use the live chat function in the bottom right hand corner.